​Karen Hudson is the director of the Choral Department at Lethbridge Collegiate Institute, one of three public schools with a student population of about 850 students, in Lethbridge, Alberta. LCI has a long tradition of excellence in choral singing with four choirs; the choirs have been successful on both the Provincial and National level, and perform throughout the year at many local events, festivals, and competitions throughout Western Canada and internationally. Karen is also active herself as a choral singer. She is the co-founder and a member of the Ventus Women’s Choir and a member of the Chinook Chamber Singers. Karen is active as a clinician and conductor throughout the province. Joshua Mohr was born and raised in Camrose. He obtained a Bachelor of Music at Augustana University College, and went on to study music at the University of Manitoba and law at the University of Victoria. In May of 2012, Joshua was called to the bar in British Columbia. In May of 2012 Joshua was called to the bar in Alberta, and worked for Sirrs LLP for three years before joining Knaut Johnson Francoeur. Joshua is the Chair of the Management Council for the Jeanne and Peter Lougheed Performing Arts Centre. He is a member of the Camrose Daybreak Rotary Club, and the Camrose Kinsmen. He spends most of his free time keeping up with his son, Ellis and his wife, Danielle. Nicole Hounjet is honoured to sit on the Board of Choir Alberta and is excited to bring vibrant and enriching programs to singers and conductors at every age and stage. She has been the Music and Fine Arts Director at Foothills Composite High School/Alberta High School of Fine Arts for the past 12 years. During her time at FCHS/AHSFA her ensembles (choirs, bands, and jazz) have all regularly performed and have been recognized at provincial and national music festivals. An accomplished musician, Ms Hounjet completed her music degree at the University of Alberta where she was mentored by wonderful women, passionate about choral music: Dr. Debra Cairns and Dr. Ardelle Ries. Since her time at U of A, Nicole has continued to study with with wonderful teachers including James Jordan, James Whitbourn, Gregory Boers, Richard Nace, and Rodney Eichenberger. Nicole also conducts the Westwinds Women’s Choir which is a part of the larger Westwinds Music Society. ​Laurel has a Visual Communications degree from the University of Alberta, where she remains a sessional instructor, teaching business practice to 500 Level students. She has been an invited speaker at design and publishing conferences and lectures, and has served as jury member in numerous design and communication competitions. Laurel also holds a Graduate Certificate in Executive Coaching from Royal Roads University, and maintains a coaching practice focussed on supporting women in all levels of leadership. Laurel renews her spirit by singing with Vocal Alchemy, and serves on the board of the Choir Alberta. Heather Provencher is passionate about choral singing, music education and arts advocacy. She was born and raised in Winnipeg, Manitoba, a community vibrant and supportive of the arts. For more than two decades, Heather has exuberantly taught elementary, middle and senior school general and choral music. After completing a Master of Education degree, she focused her time and energy on arts leadership and Heather is thrilled to join the Choir Alberta board in support of choristers across Alberta. Heather is currently the Artistic Co-Director of Choral Programming at Strathcona-Tweedsmuir School where she has served for fourteen years. ​Carmen So fell in love with the world of choral music at first sing, two decades ago! Experiencing human connection through voices in harmony inspired her to pursue a career in music education. Her teaching experience includes private piano and voice instruction, vocal coaching for musical theatre, and conducting the All-City Junior Children's Choir and the Braille Tone Choir, a choir for individuals with exceptionalities. Ms. So is the founding director of Kokopelli's children's choir, Kikimasu, which was featured in a spotlight concert at the national PODIUM Conference in 2016. In her tenth year with the Edmonton Public School Board, she is currently the music specialist at Rutherford School. Ms. So attained both her Bachelor of Music/Bachelor of Education combined degrees (2004) and a Master of Education degree specializing in Elementary Music (2015) from the University of Alberta. As a lifelong learner, she is always searching for opportunities to learn and adores all things involving creative pedagogical practices. She is inspired by working with musicians from all walks of life and feels blessed to have such a wonderful career as a music educator. ​Mr. Spila (B. Ed, U of A, secondary music major) recently retired after having taught music at the Elementary, Jr., & Sr. High School levels for a total of 43 years. The past 39 of those were spent at Camrose Composite High School where the music program consisted of concert and jazz bands, mixed chorus, chamber choir and vocal jazz, as well as beginner and advanced guitar. Student groups under his direction have been recognized at regional, provincial, and national levels. He has been the director of the Camrose & District Community Band since its inception in 1983, is a past recipient of the Tommy Banks Award from the Alberta Foundation for the Arts, was presented with the first Vondis Miller Legacy Award in 2004, and is a member of the International Bandmasters Fraternity: Phi Beta Mu – Mu Alpha Chapter. He has been recognized for his work by Alberta Education, the University of Alberta (Augustana Faculty), the Alberta Band Association, the Alberta Choral Federation, the city of Camrose, the Alberta Government, and the Governor General of Canada. In 2017, he directed the Southern Alberta Jr. High School Honour Band for the Alberta Band Association. Mr. Spila has served on the board of the Alberta Band Association and now looks forward to working for the music community as a board member of Choir Alberta. Kate Koplovich is a passionate advocate for performing arts; herself being involved in various aspects for over 20 years. Kate’s 15 years of choral experience with the Calgary Girls’ Choir and Cantare Children’s Choir allowed her to compete in provincial and national competitions and tour nationally and internationally showcasing Alberta’s incredible choral talent! Alongside her extra-curricular choral experience, she was an active member of the Strathcona-Tweedsmuir Junior High and High School Choirs, has performed in various musical theatre productions, and remains an avid pianist. 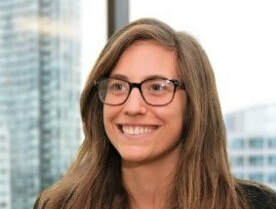 ​Kate holds a Master’s of Science in Economics and Policy of Energy and the Environment from University College London and a Bachelor of Environmental Studies from the University of Waterloo and works at Deloitte. She is honoured to be part of Choir Alberta and shape performing arts in Alberta.